Green Ginger extends its experience and skills towards other arts organisations, offering expertise in the creation of puppetry solutions through initial conception, design, prototyping, fabrication and into performance direction. The company works in TV, film and live performance, and at any scale, from small-scale intimate touring shows to large-scale outdoor spectaculars. Please contact us here to discover how we can work together. IMAGE: Arcadia Spectacular’s Metamorphosis (2016) photo by Luke Taylor. 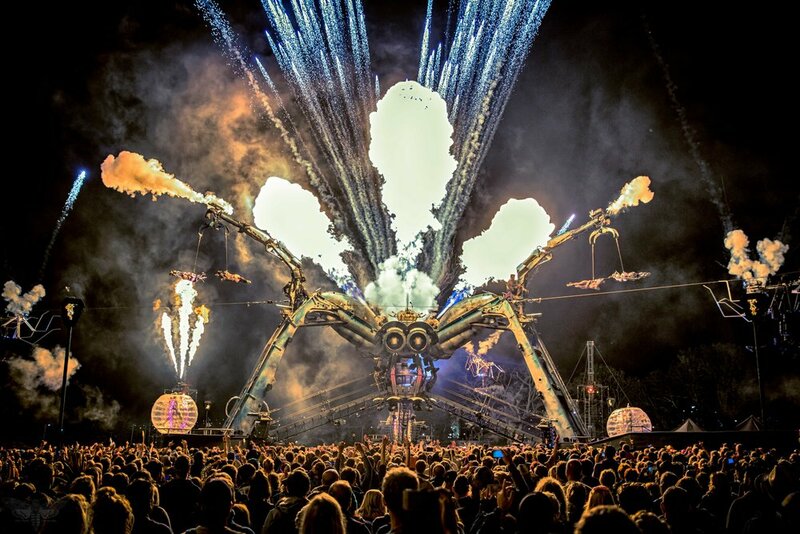 Green Ginger’s Chris Pirie was part of the design team assembled by Rusty Squid that created the 7 metre-long mechanical mini-spiders that scuttled above the audience on ziplines.